Our 4 good-to-know tips to understand Adventure Racing World Series and more particulary Raid in France. Rule #1: a genuine immersion in nature and a total autonomy. No GPS, no cell phone, and no outside contact. The teams are in their adventure, enjoying the peace of nature. Teams are competing 24/7 and must manage their sleep, food and progression. Raid in France program always stand with 450 to 550 km of racing and minimum 15 000m ascent. The teams gather 4 members with at least one female. The aim: cross the finish line as a team of 4 and having be through the full course. 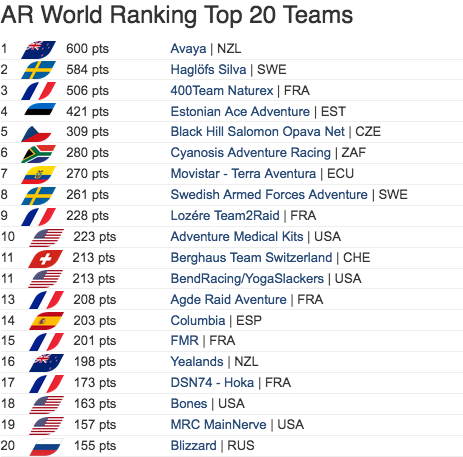 After an intense 2018 World Championship on Reunion Island, Raid in France is taking a break in 2019. A year to rethink the race, imagine new destinations and meet up with potential sponsors convincing them of embarking with us by sharing the strong emotions of such adventures. Adventure racing is a journey starting from an A point and reaching finish line, B point. A roadbook indicates the order of activities: trekking, mountain biking, raft, canoeing, caving… In France, adventure races are, since 2017, managed by the Triathlon national Federation.